Homeschool Preschool Ideas - How to keep it simple and fun! Giving your preschool children what they crave - You! 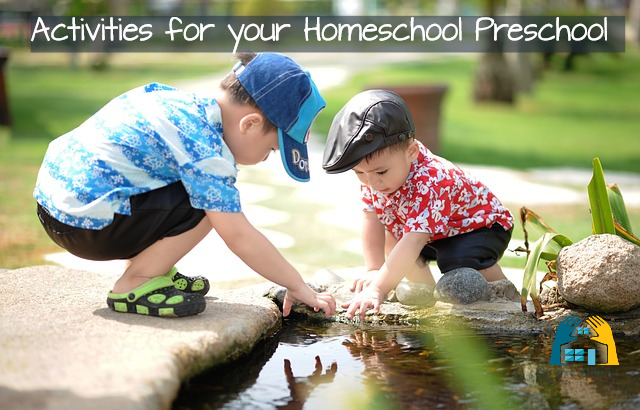 Looking for homeschool preschool ideas? Fun things to do, without burning out? Great - that's what this page is about! If you only have little ones, you will read this differently - because your whole world centres around them, their interests, their time, their routines and you are only homeschooling preschoolers. However, if you have a few other children who are older, then you're looking for those great ideas as to how to keep homeschooling and everything else going while you have a busy little preschool aged child around. You don't want to treat them like they are an interruption to your "homeschool" day but you do need some tactics to keep their little minds active and involved as well as filling up their "mummy" time. To find out more about setting a routine and scheduling with little ones - go to my homeschool preschool sample daily schedule page. As you read about what others have done or are doing, you really need to remind yourself that it's stuff you can do in your day without too much extra fuss. And the subject matter is really easy to talk about in a very natural context of your home. When you're talking about Weather, it might be cute to have a cool weather chart with the sun and clouds, rain etc - ... but you don't need it! You can look outside, have a walk, talk about what you might wear today after looking at the weather - getting your umbrella or coat if it's cold and wet; grabbing your sunhat and putting on shorts when it's warm. Math is pretty simple at this point! There are so many things in daily life that can be discussed and chatted about in mathematical language. Consider some of these simple, daily tasks that are mathematical in nature. When you're making a cake or setting the table, you are measuring and counting. One plate, one spoon, one fork, one knife for each person ... Can you put these things on the table for our family? One glass per person? Pairing socks is also a great way to match items; organizing drawers; organizing the shoe cupboard or lining up shoes in the house in size order; Finding shapes around the house; Looking for shapes as you walk along the road or drive in the car; Locating and recognizing numbers on houses, on number plates. The Calendar - As you begin your day talk about the name of the day; Have a wall calendar on which you talk about the month, the birthdays coming up, the occasions you have planned, the season. As you read books together, ask - do you think it's winter or summer in the story? Why? Choose a plant or a tree and draw it on a weekly basis - talking notes of what it is like today - look it has buds on it! What colours can you see? Look it's lost it's leaves! :( Why did that happen? Letters and Words! There are so many wonderful things you can do to identify and play around with letters. You can look out for them on signs and in the books you are reading aloud; You can find them on houses or on shop windows or on Street signs; You can look for them on the advertising material that comes into your home or on newspapers. Cut out different letters; Draw big letters in the sand; Write big letters in chalk on your footpath; Make letters out of playdough; Sing songs and rhymes about the different letters. My point is - that even without any of the homeschool preschool ideas below ... you can make your own homeschool preschool by talking together, observing, visiting the library, reading books, speaking to other people, and making fun, silly games with no prior preparation. So, having given my warning ... 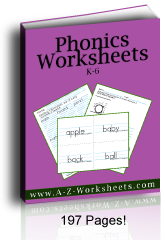 I would like to add some theme based homeschool preschool lessons as well as preschool activities which can easily work in a homeschool setting. There are so many free themes and preschool activity ideas online but to be truthful, it takes quite a bit to find the 'good' ones. Anyhow, here's what I've found. 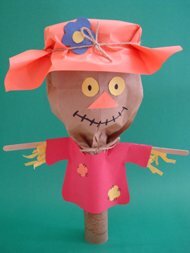 A great place to begin is with Ellen's fantastic set of Weekly Preschool Theme Units. There is such a great range of ideas here which will certainly keep any little fingers busy and fully engaged in learning. 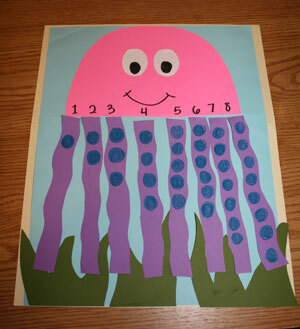 Here's a few suggestions in Math, Letters, Science and Art and Crafts. Letters of the Week are a great way to teach the alphabet. Of course, you don't need to do them in order or even do one a week - but the ideas are great for teaching your preschoolers at home. 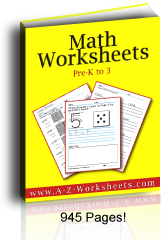 PrintNPractice - Worksheets all in one place! 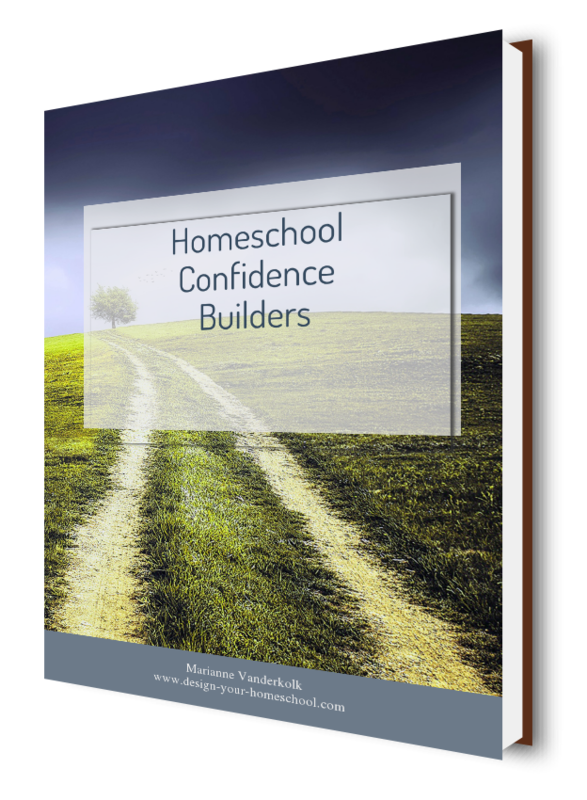 Need a Homeschool Confidence Builder? You can do this! I hope you've been encouraged to get actively involved with your little one without making it too overwhelming! 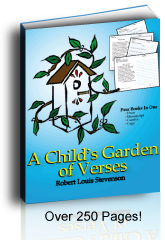 Need some more homeschool encouragement? 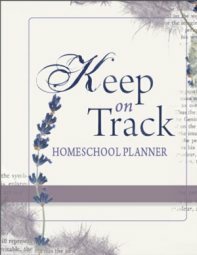 Sign up to the Homeschooling Ezine, "Keep on Track" here and download your copy of "Homeschool Confidence Builders." Looking for more ways to get organized? 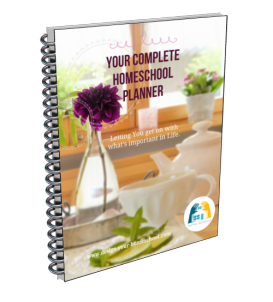 Check out my Homeschool Planners Options - so you can get to what's important in life! Sign up to my free E-zine and get the Subscriber Freebies!